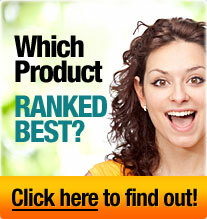 Raspberry ketones have recently come into the media spotlight as the latest trend in weight loss. This powerful fat burner has started popping up in diet pills and nutritional supplements left and right. But what are raspberry ketones? How do they work? Can raspberry ketones actually help me lose weight? This article addresses how raspberry ketones work to help you burn fat and lose weight, as well as where to find a quality raspberry ketone diet pill. Raspberry ketones are the component responsible for the sweet smell that ripe red raspberries get. Raspberry ketones are commonly added to perfumes and cosmetics or used as a food additive for their sweet fruity smell, but they are also a powerful fat burner. In studies, raspberry ketones have been found to increase the rate of lipolysis, your body's natural fat burning process, to help you convert body fat into usable energy. Another study found that raspberry ketones can regulate lipid metabolism, preventing fat from accumulating around the midsection. Raspberry ketones also help regulate adiponectin levels. Adiponectin is one of the proteins that control the metabolism and studies have discovered that thinner people have higher levels of adiponectin than those who are overweight. 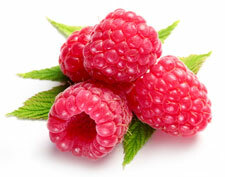 By regulating the amount of this protein in your system, raspberry ketones boost your metabolism to burn calories. There is only 1-4mg of raspberry ketones in a kilogram of raspberries, so eating raspberries alone will not significantly impact weight loss. But thanks to the wonders of modern science, the fat burning power of raspberry ketones is easily accessible in many natural diet pills. But not all raspberry ketones diet pills are made equally. Read our reviews to find out which supplement works the best.